Thai green curry to me is what Penang curry mee or beef rendang are to some people. I need not say anything else – I simply love it! And as it is not too spicy, even children get to enjoy it. I almost regret not listening to a piece of advice I received long ago: when you find something delicious, tell no one about it, so you can quietly enjoy it yourself! I recalled these words as my nine-year-old son and I had to compete for the bowl of green curry the moment it was served in Yum Yum Thai, as if we had starved for weeks, if not months. We are both in love with the taste of the green curry they serve in this restaurant, which is located in Casa Tropicana, Petaling Jaya. My romance with green curry goes back a long way. 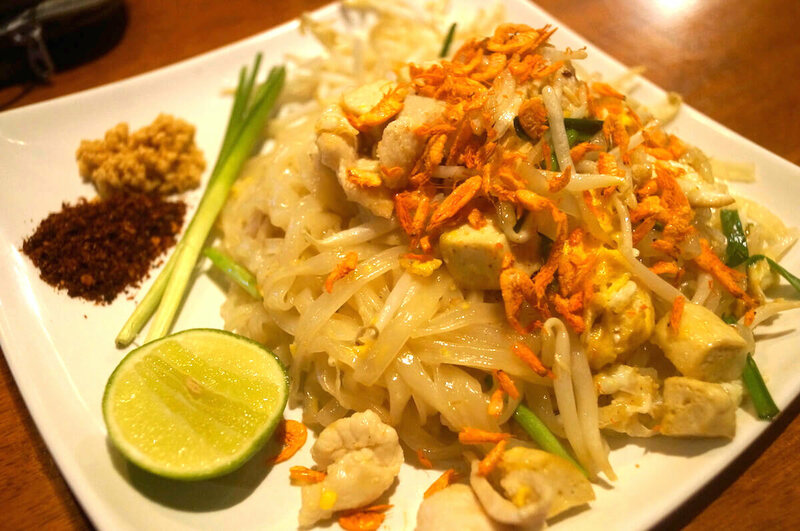 I always order it anytime I walk into a Thai restaurant; therefore, when restaurant owner, Marcia Lau Saunders suggested that I gave it a try, I was delighted. Even when we were living in Maputo, Mozambique, the green curry we found there was something that brought us some sanity, being among only a handful of Asians in a country where almost everyone speaks Portuguese. 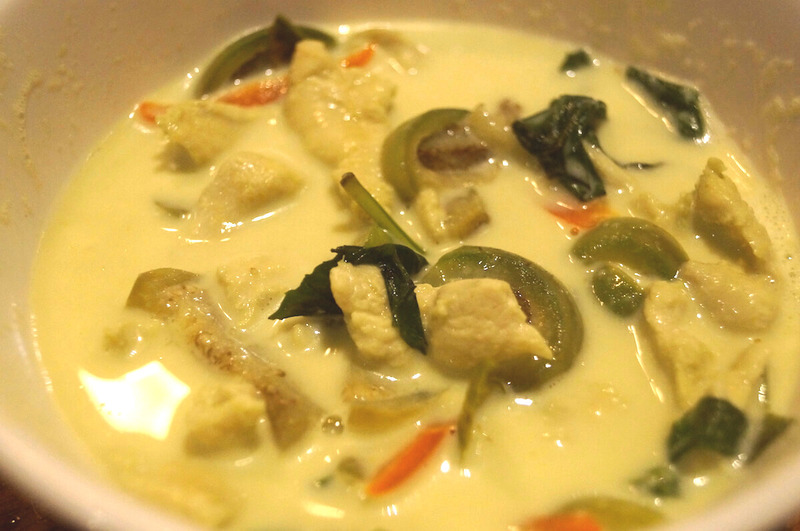 When we were there, green curry was always something we looked forward to, being the closest thing we could get to satisfy our Asian taste buds. And so, after a lifetime of eating green curry, I have to admit that to date, I haven’t tasted anything better than Yum Yum Thai’s irresistible green curry. The ingredients, according to Lau, are all imported from Thailand. 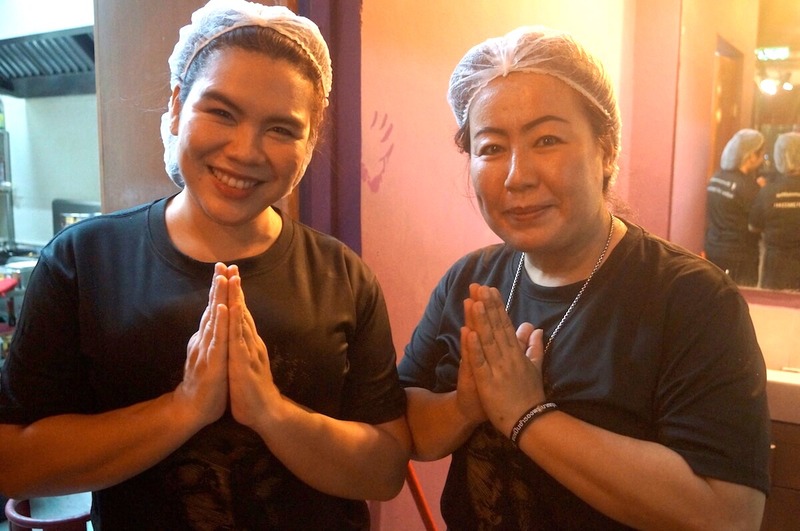 Even the chefs, Ying and Mee, are from Chiang Rai. 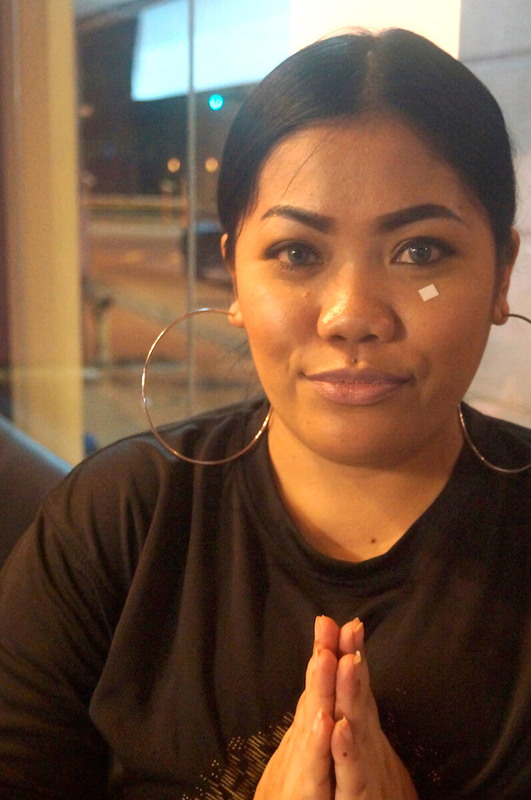 As soon as you walk in, you’ll be greeted by the waitress Mila, who will greet you with the customary “Sawasdee Kap” (for men) and “Sawasdee kah” (if you are a woman). Besides the green curry, I also recommend to try their signature dish, moo ping (grilled pork skewers) and pineapple fried rice. Both aren’t very spicy, and are very suitable for children. My only regret is that we came with only one adult and two children, meaning that we could hardly run down Yum Yum Thai’s menu. If you are planning to go Thai this weekend, try Yum Yum Thai where you can also enjoy the soothing Thai music playing in the background. 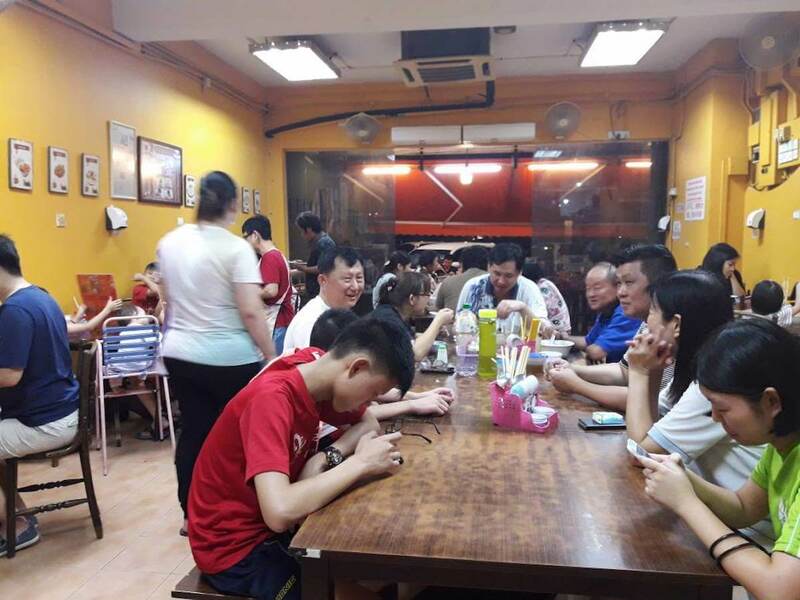 When a customer called up to ask for the direction to Restoran Yi Yan, 61-year-old Fan Kin Lin responded in Cantonese that his restaurant is Chuk Yi Yan. 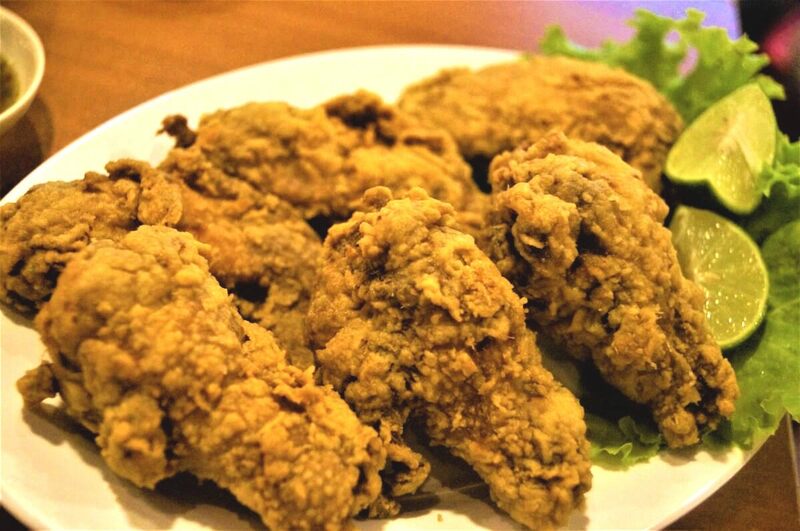 The customer had a good laugh when he and his family finally arrived at the restaurant and learned how the name “Chuk Yi Yan” came about from Fan. The restaurant has been in business since 2010. In the past eight years, we have eaten in the restaurant on numerous occasions, as we find it is convenient for the children to spend their time reading books in the Mini Oasis library located just above the restaurant. Kin Lin, or “Auntie” as we are fond of calling her, is friendly enough to have a good chat with occasionally. This is something to which a friend of mine, James Pang can also testify, having travelled all the way from Petaling Jaya to taste the food here. 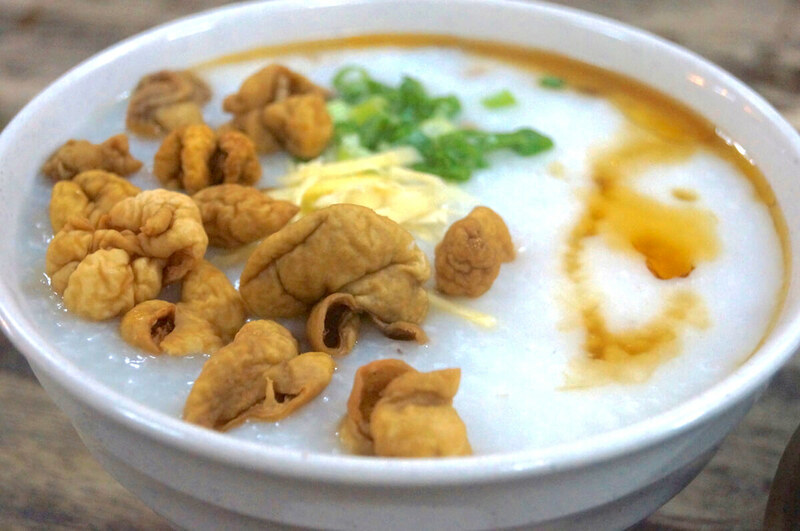 Although she wakes up as early as 4am to prepare the porridge, Kin Lin is still energetic even by 9pm at night. When James flatters her by saying that she still looks young for her age, Kin Lin smiles sheepishly. Kin Lin, who hails from Rahang, Negeri Sembilan, has a long history in the food business, having sold noodles from as young as 12 years old. 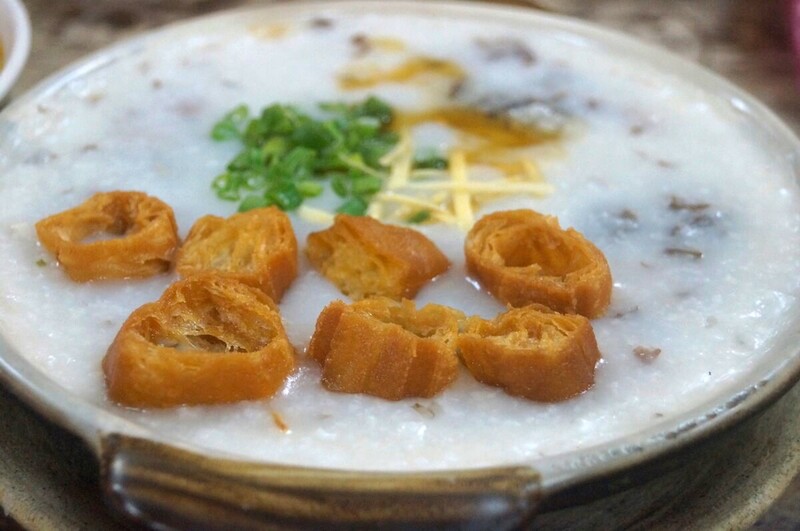 Their specialty here is a wide variety of porridges, with the chee chap chuk being a bestseller. According to James, the porridge is neither too watery nor too thick. 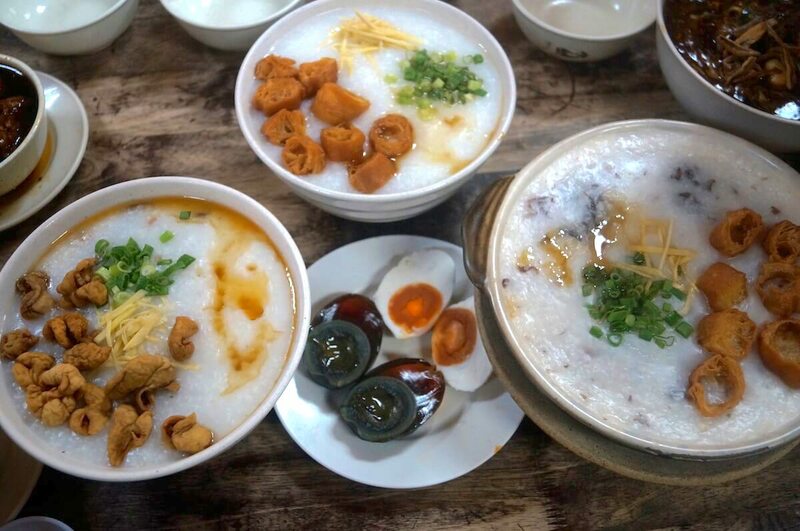 “It’s just nice and really silky smooth,” he said, adding that these days, there are not many people who can still cook such good porridge anymore. 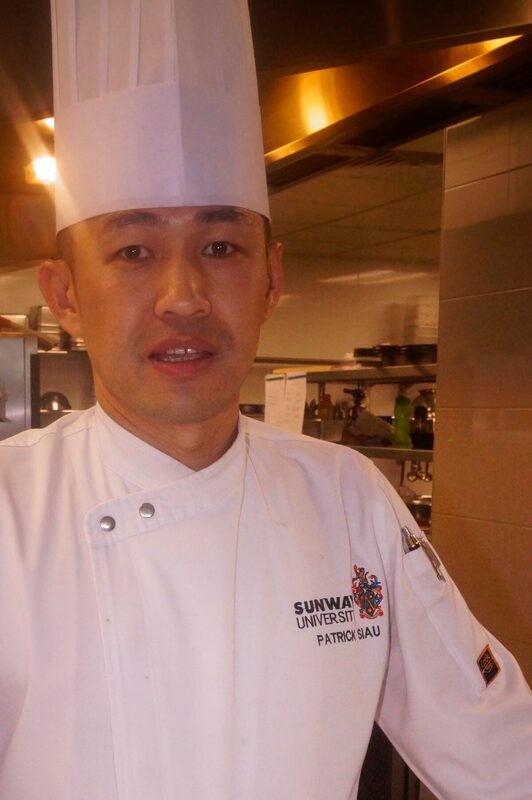 James, who hardly eats duck meat anywhere else, even recommends Yi Yan’s smoked duck, calling it exceptional. His wife Priscilla Lee also enjoyed all the food she was served. 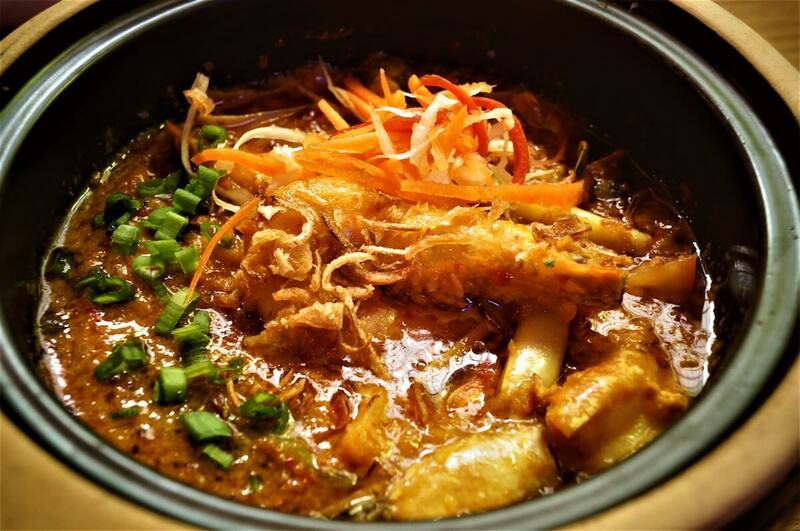 Besides the chee chap chuk and the smoked duck, she listed her third favourite dish as the lor pan mee. I couldn’t agree more. 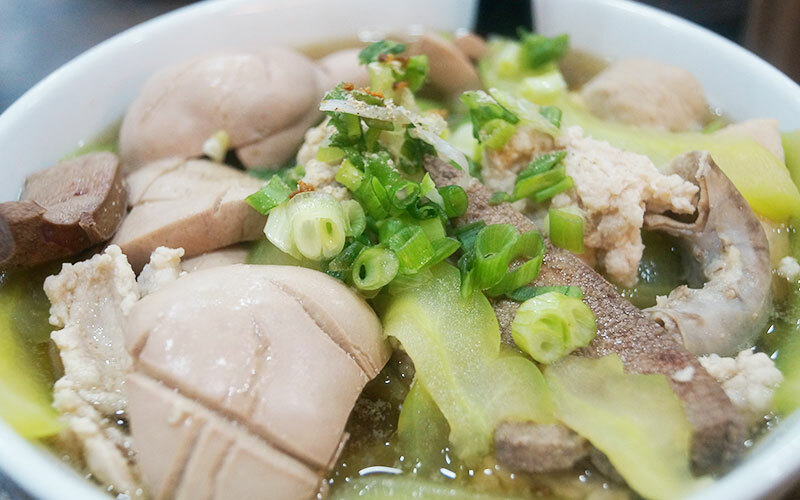 The lor pan mee is a unique dish that would be hard to seek anywhere else. 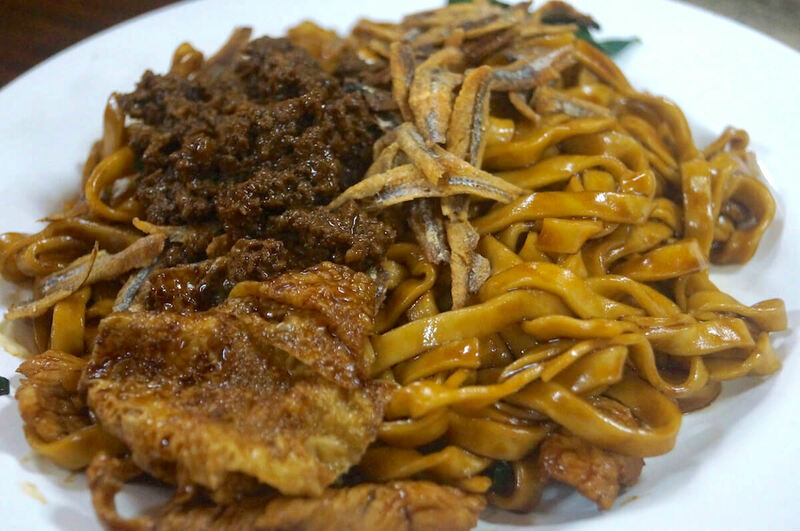 We’ve all heard of Ulu Yam lor mee, but this one uses pan mee, which gets my thumbs-up. It tastes even better when you add in some vinegar. Their kids, Jayden and Jonathan, also fell in love with the fried pan mee, and the many kinds of porridge on offer. 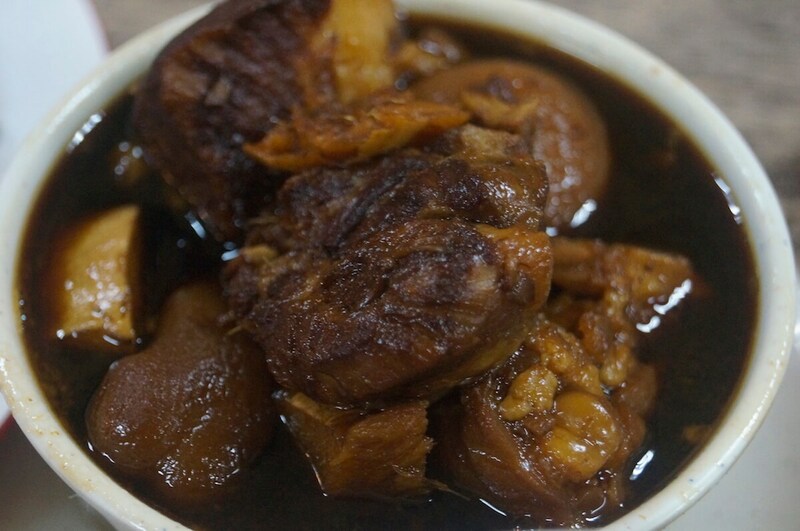 Yi Yan also makes lovely vinegar pork trotters, which has a little taste of Bentong ginger. The food in Athanor is simply great. I would even recommend this place to chefs who are already in the industry and looking for new ideas, as this is the place where people carry out a lot of research and put their thinking hats on to come up with fresh ideas. Hoteliers and restauranteurs hoping to hire new student talents will also be able to spot suitable candidates for their outlets. For other members of the public, this is the place for some fine dining at a fraction of the price. I am truly glad that Sunway University has finally set up the restaurant to allow us to savour some of its best cuisine and pastries. The name Athanor comes from the Arabic “at-tannur,” which means the baker’s oven. In ancient times, the alchemists used this special furnace to maintain a uniform and durable temperature in their laboratories. 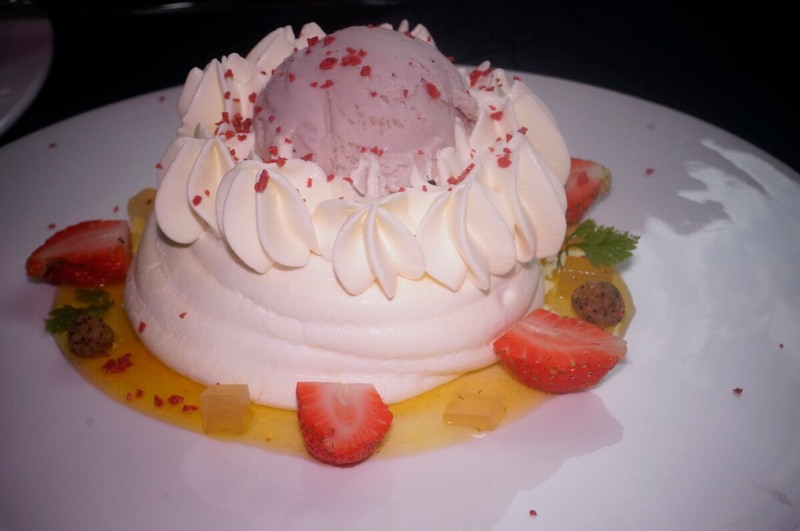 The name conjures the image of a kitchen where perspiration eventually yields cuisine and pastries one can only dream of, food good enough to inspire other chefs in the industry. 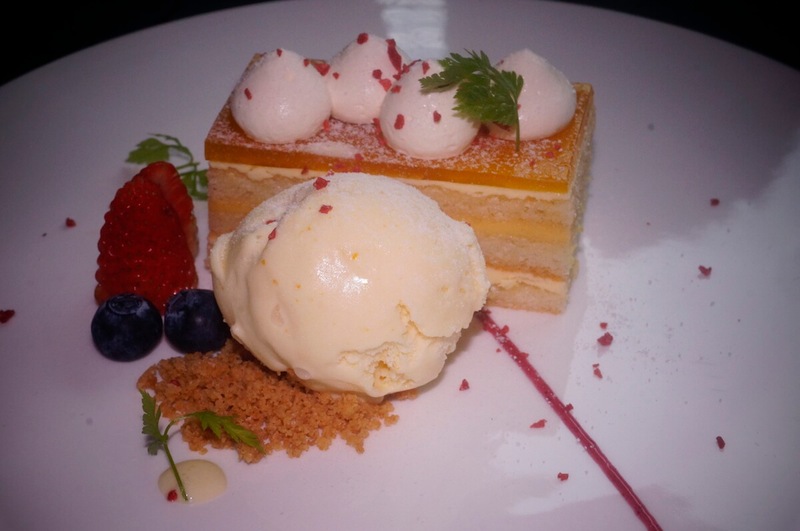 Each semester, Athanor’s head chef, Patrick Siau Chi Yin, and his team of award-winning chefs whip up a new menu, each more mesmerising than the last. I made this suggestion a few years ago, and Athanor is now strategically located at the sixth floor of Sunway University, which overlooks the scenic lagoon. 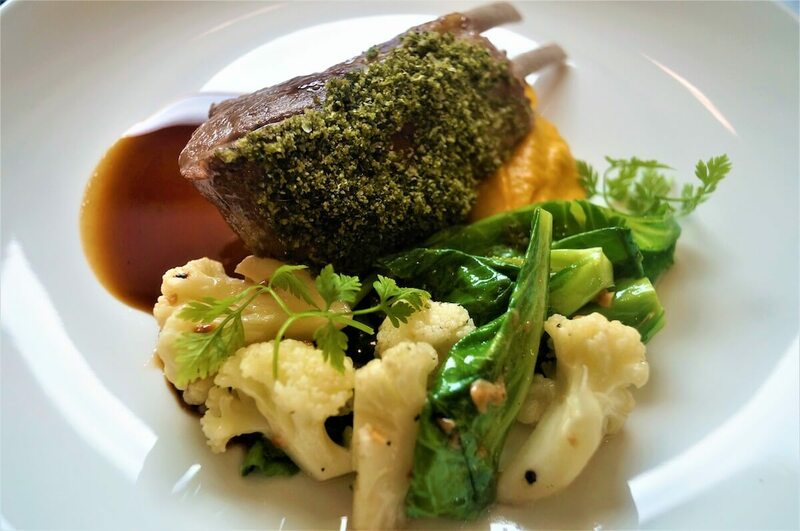 When I was invited to try their latest offering, I was pleased to taste the roast lamb rack, which comes with my favourite pumpkin puree, and some vegetables, herbs crumble and lamb jus. 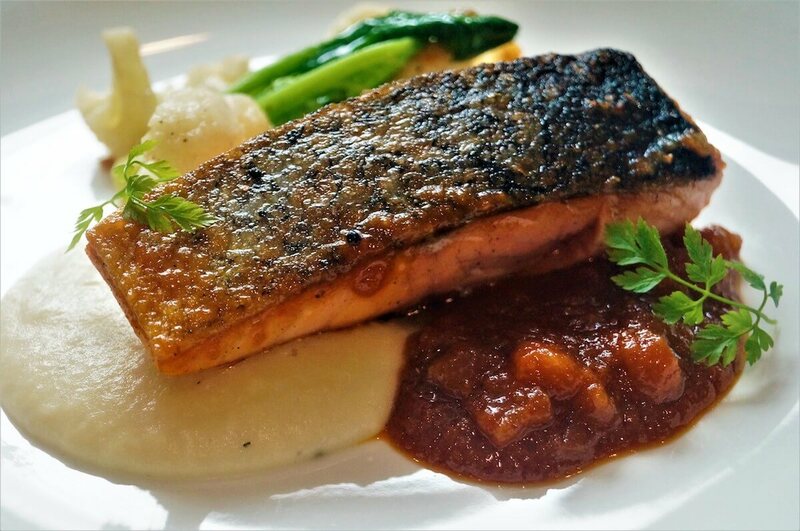 The portion may be small to the average Malaysian, but considering this is fine dining, the set menu at RM30 is a small fraction of what you would pay in other restaurants. 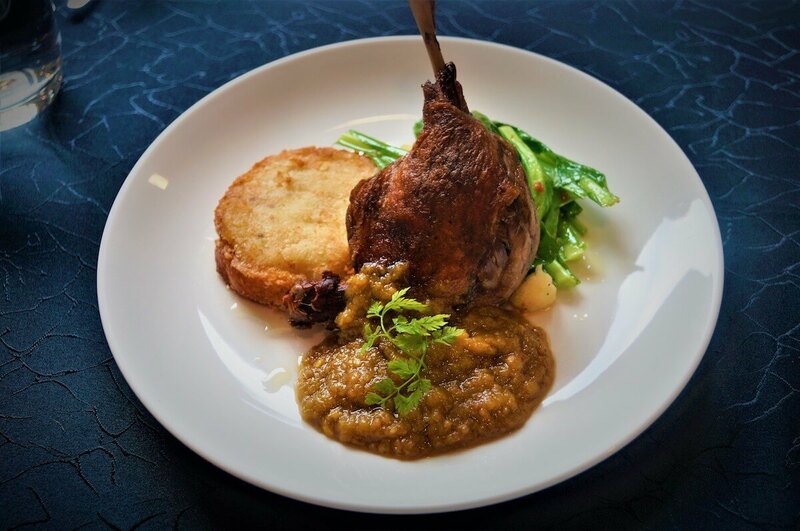 The other sets that you can pick from the menu include either the duck confit with Idaho potato croquette (which taste different due to volcanic soil in America’s northwest), vegetables and green chili sauce; the pan-fried Norwegian salmon with Idaho potato croquette, vegetables and spicy pineapple sauce; chicken roulade, served with pumpkin puree, vegetables and red wine sauce; or vongole pasta, which is linguine cooked with clams and white wine sauce. 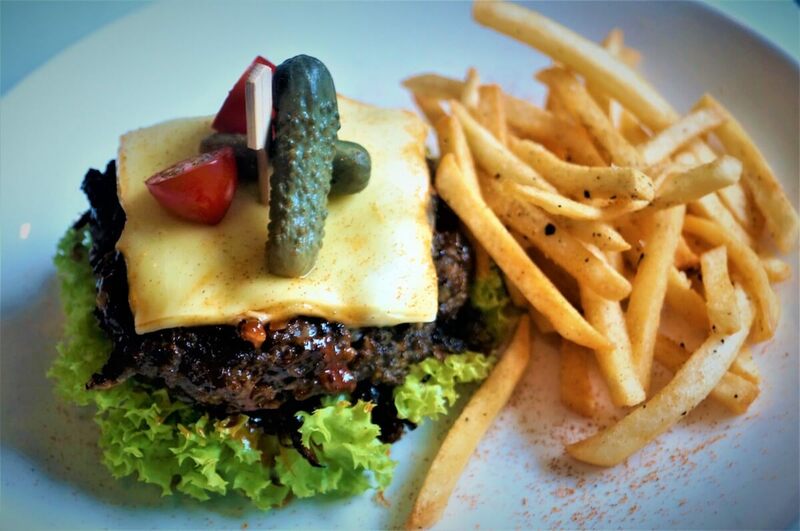 Two cuisines that you must try or at least share out with friends are the beef patty, which also comes with Idaho potatoes and the chef’s mushroom soup, which uses shimeji mushrooms and sour cream. Both have my thumbs up! I have always loved mushroom soup, and it tastes almost the same everywhere. But Athanor’s mushroom soup is truly unusual with unique tastes, just like the beef patty. 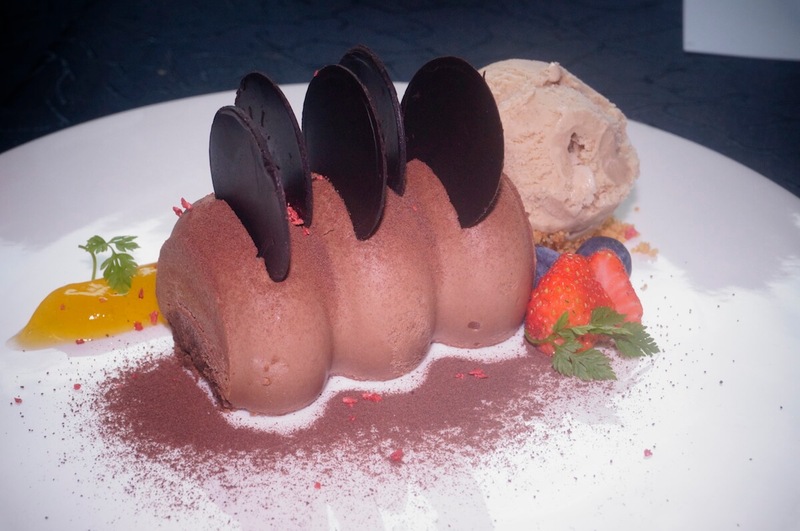 If you still have room after the main course, I strongly recommend trying out the exotic log chocolate mousse with passionfruit ganache and ice cream. If you are a chocolate lover, this pastry has a rich chocolatey taste that will give you the oomph the moment you taste it, leaving you with a greater craving for more! And yes, for the ice cream scoop that comes with the exotic log and other pastries, ask for their Earl Grey premium ice cream. Unlike most other commercial ice creams, theirs is homemade and it has a silky smooth texture to it, as it melts immediately in the mouth. Trust me, you just have to close your eyes, take a mouthful of it and you will simply love the ice-cream! The other pastries that you can try out are the chef’s pavlova with stewed pineapple cubes, mint jelly, jasmine passion sauce and ice cream; green tea cake with green tea mousse, red beans, wild berries sauce and ice cream; beehive churros with caramelised pineapple, wild berries sauce and ice cream; and the vanilla flavoured crème brûlée which come with wild berries. 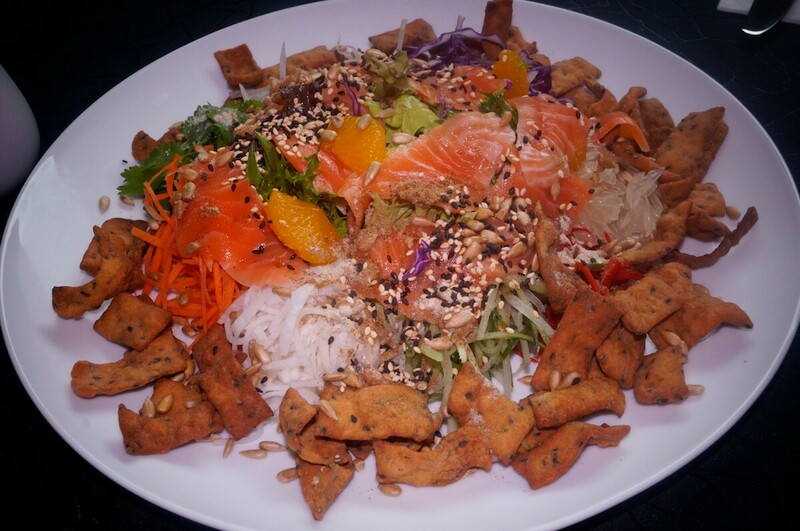 And, because Chinese New Year is just round the corner, Siau has prepared his version of Yee Sang. This is something that you can enjoy, especially the homemade sauce that is again truly unique. 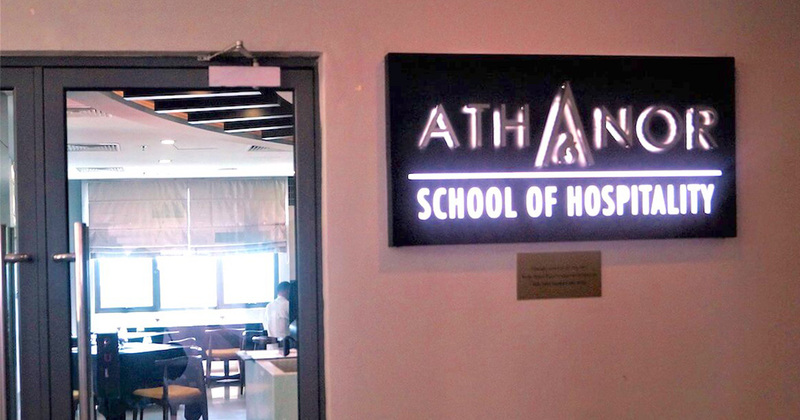 Athanor, which is open to the public, is run by Sunway University’s School of Hospitality. 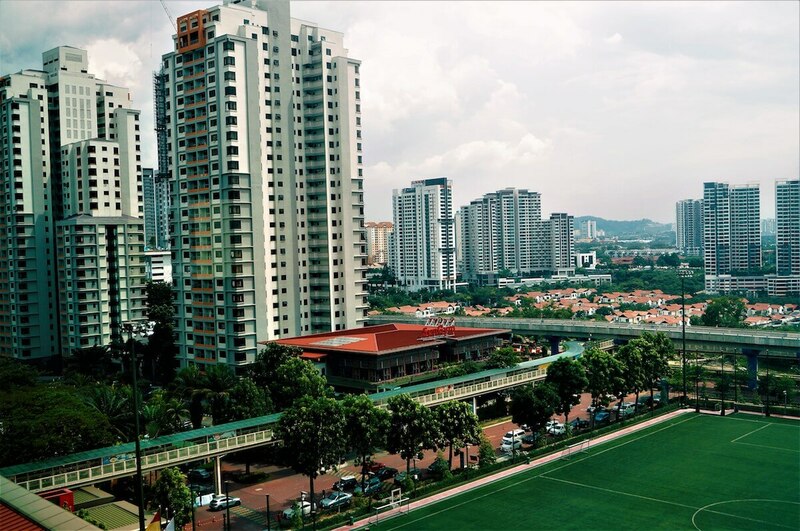 It is located on Level 6, in the west wing of the Sunway University building. 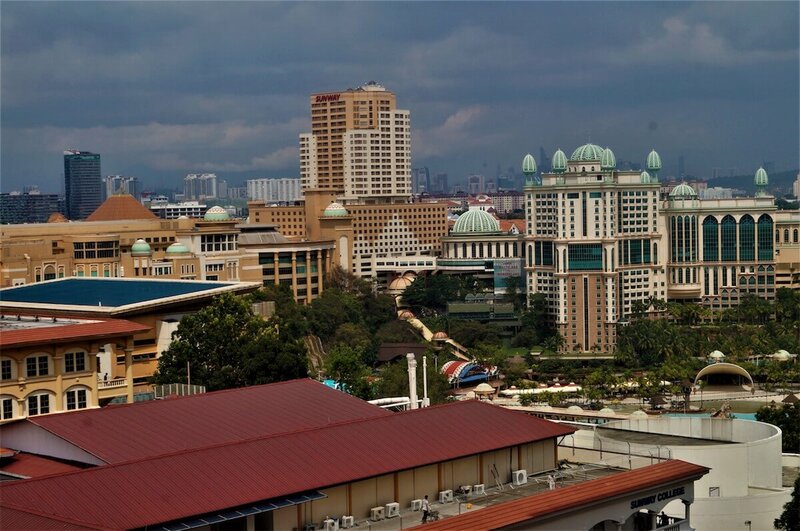 The university is accessible using the BRT Sunway Line. You can also park in the multilevel basement carpark in front of the university. Tel: 03 7491 8622 ext. 7235.
Business hours: 12pm – 2pm, on Tuesdays, Thursdays and Fridays only. Variety seems to be the way how restaurant operator YY Wong models her noodle shop in Dataran Sunway. Ten Noodles Restaurant’s business model is interesting. Instead of the standard “eat-or-leave-it” dishes, Ten Noodles’ kitchen is set up to tailor noodles based on individual preferences. 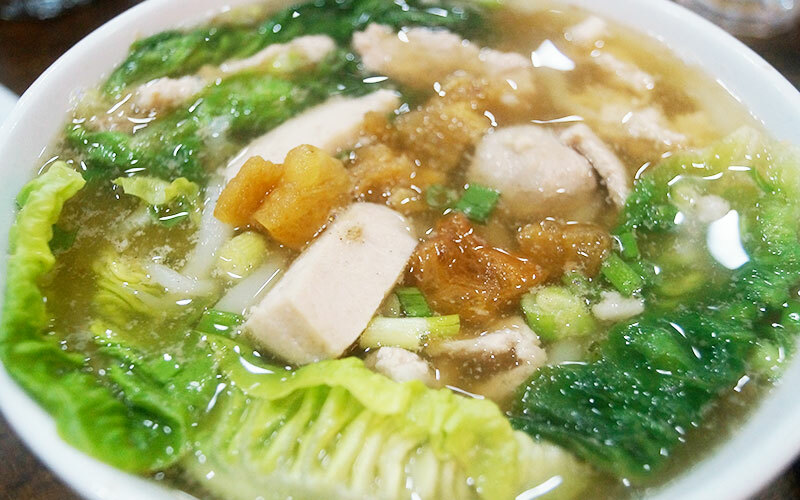 This restaurant in Kota Damansara is well-known for its pork noodles, but the difference between its many other competitors is that her clients get to mix and match what they want for their meals. 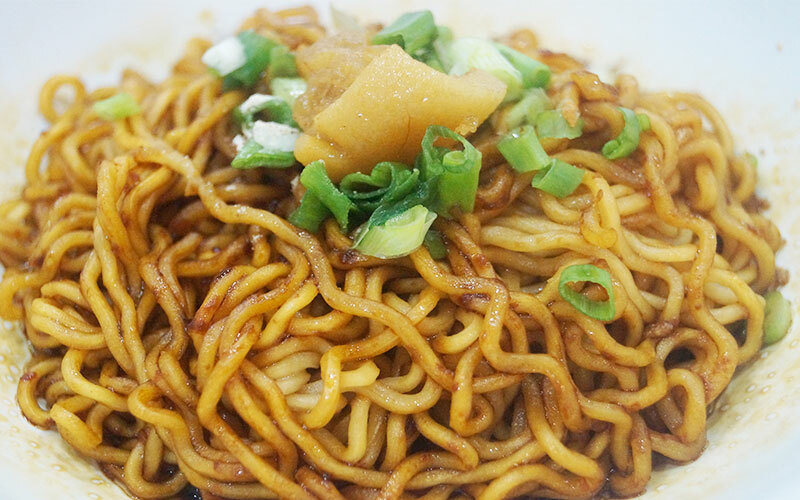 With seven different types of noodles to choose from, the kitchen hands can prepare noodles either in soup or dry, accompanied by a variety of condiments. Though only operating from September last year, Ten Noodles has received quite a positive response. Even on a working day, there is a steady flow of customers. We arrived at the restaurant for dinner at 7pm, and nearly every table was occupied. 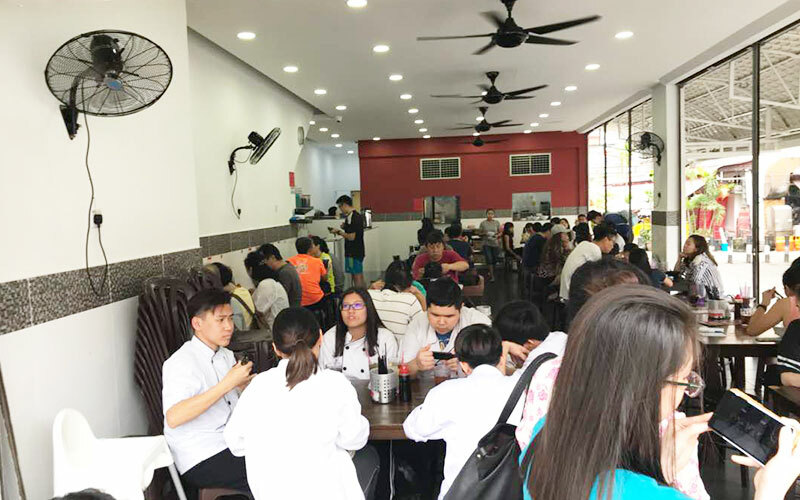 Most of the customers are office staff working in Dataran Sunway, but university students are also making this their favourite eatery, despite the numerous restaurants in the commercial square. 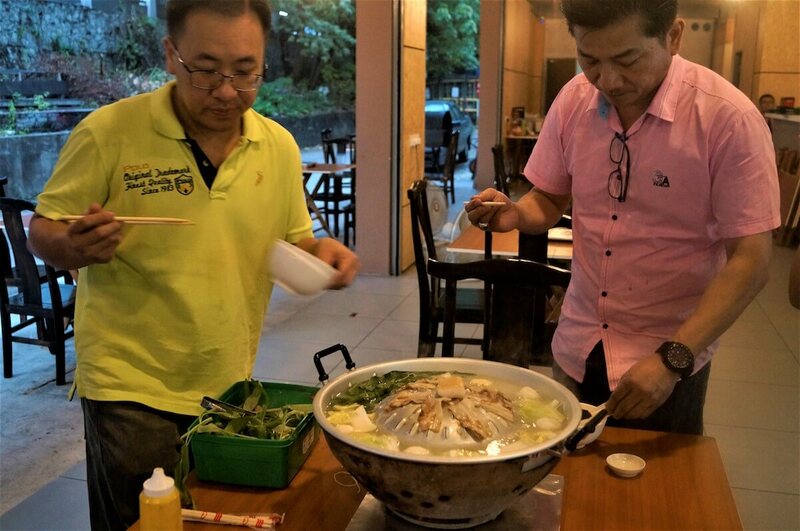 The friends who recommended Ten Noodles to me – who are now regulars – asked me to check out their pork noodles. According to Wong, the pork noodles are now starting to attract non-Chinese customers. Besides the usual condiments, Wong said customers can also choose from a range of internal organs to go with their noodles. I have been reluctant to ingest organs since my youth, but I’ll take Wong’s word on many of her customers loving what has become their speciality. 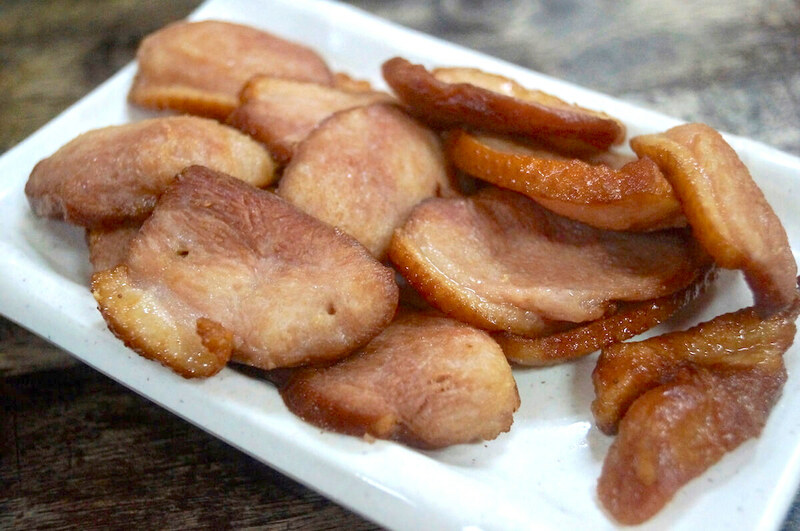 Wong’s love for pork went back as early as her 80s, when she was growing up on a pig farm in Negeri Sembilan. It doesn’t just look like she knows what she’s talking about when it comes to pork; it tastes that way as well. 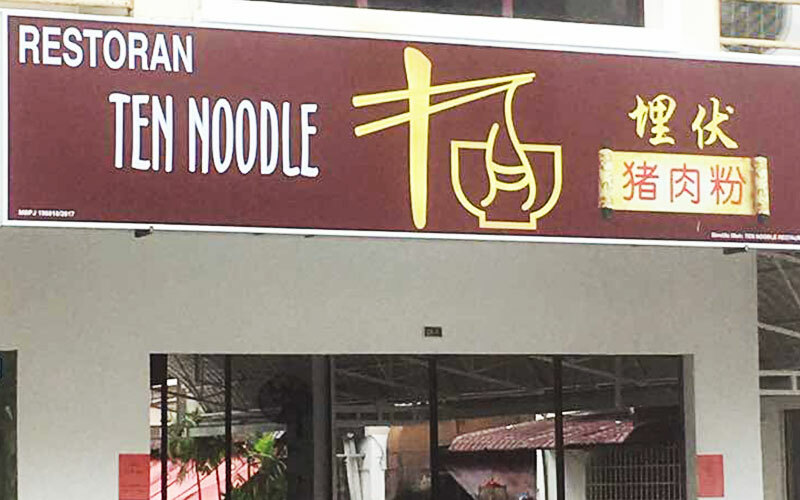 Restoran Ten Noodles is located at No. 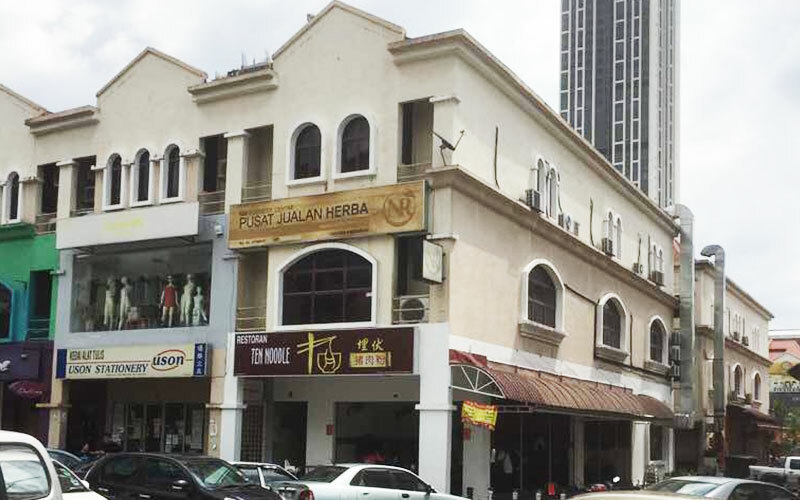 25-1, Ground Floor, Jalan PJU 5/10, Dataran Sunway Kota Damansara. Is Mookata set to boss the competition? Mookata or mu kratha comes from mu (Thai for “pork”) and kratha (“pan”), which is where Boss Mookata gets its name from. 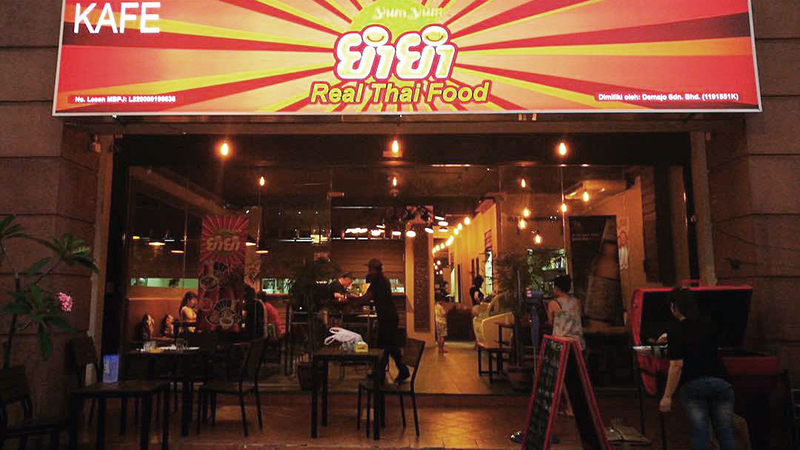 The restaurant is located at a corner of Taman Perindustrian KIP, the growing commercial area in Kepong. 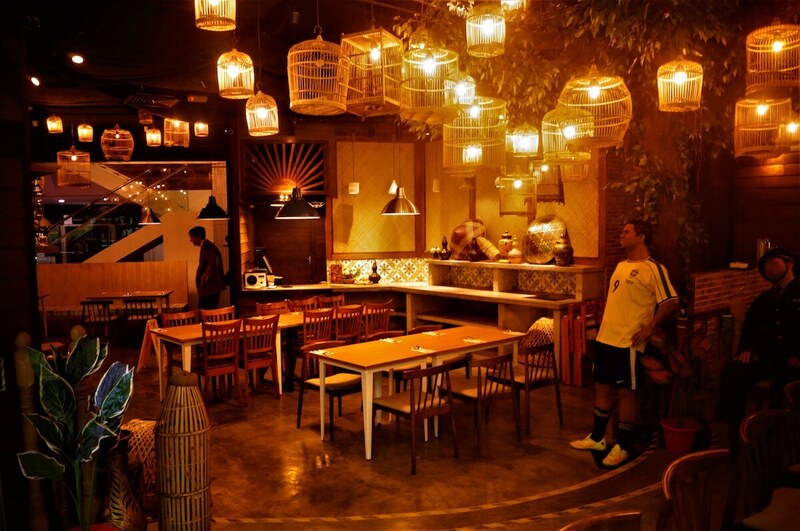 But mookata isn’t your standard Thai fare; it manages to fuse the styles of Korean BBQ and Chinese steamboat. I like the way it uses the same source of heat (the traditional charcoal style) to create two different versions of cooking: one which is air-fried and the other in a soup stock. 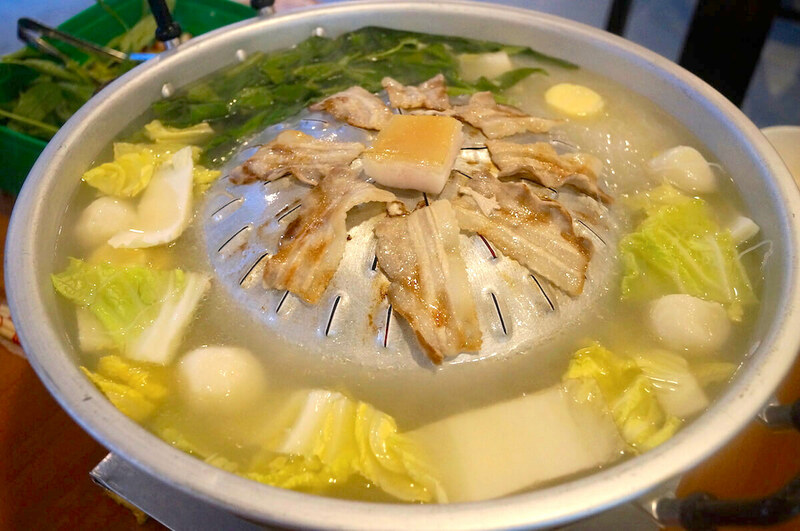 Although it is believed that it came from Korean BBQ grills, the idea has already caught on in Thailand and Singapore. In Malaysia, a number of these restaurants have already started to appear, but whether this will be the next big trendsetter depends on local foodies. 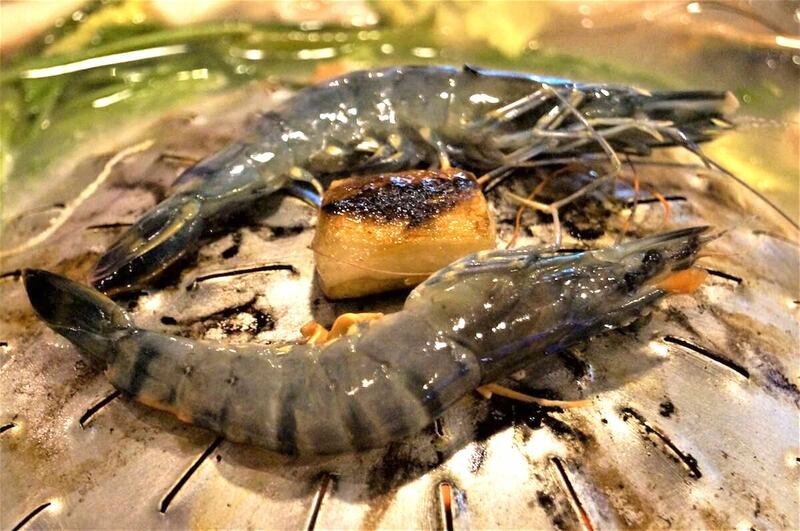 According to restaurant proprietor Jason Tan, a small dinner set includes two packs of white marinated pork slices and a pack of black pepper marinated slice, Japanese tofu, crab sticks and fish balls. The ingredients can be cooked either on the air fryer pot, or in the soup, and for those who like it spicy, Boss Mookata prepares its own Thai style chili paste. 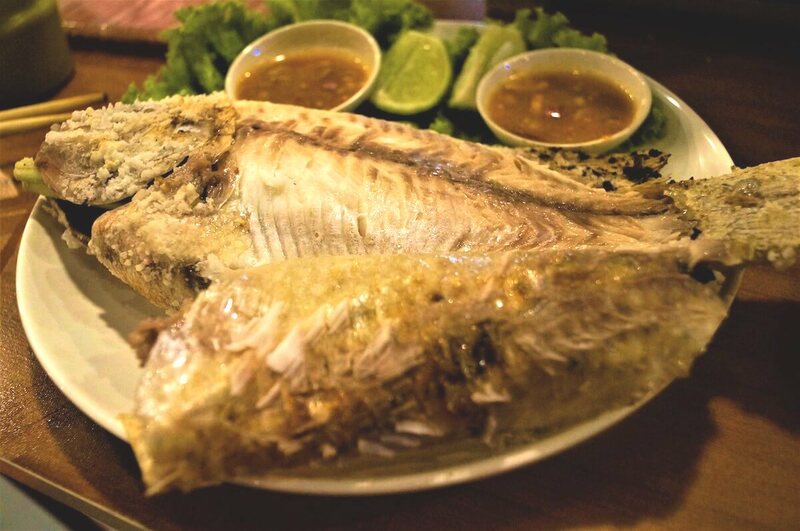 Another of its signature dishes is the snowflake steamed fish (雪山飞狐) that is stuffed with lemon grass and rock salt to preserve the moisture inside the fish so that the fish is juicy at all times. For now until February 3, Boss Mookata is hosting a competition to win an iPhone 8. All you need to do is to take a photograph and post it on your Facebook. Restoran Boss Mookata is located at No 1 (Ground Floor), Persiaran KIP 3, Taman Perindustrian KIP, 52200 Kuala Lumpur. 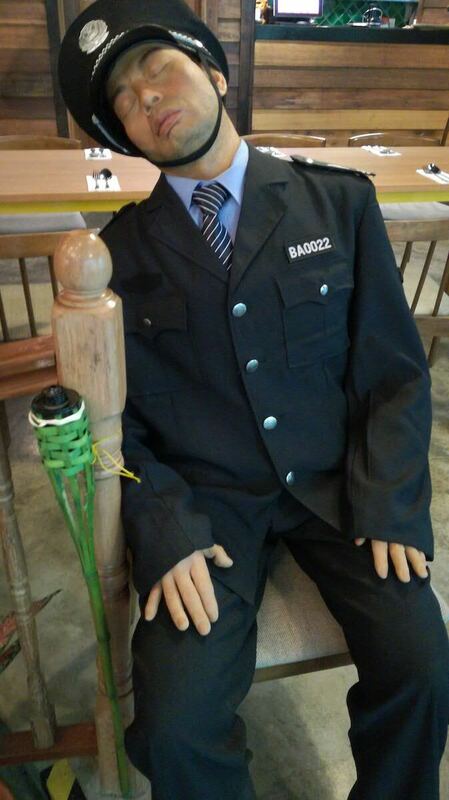 Caesar took time out from maintaining law and order among his fellow apes in San Francisco to dine with this band of human survivors, all the way here in Komtar, Penang. 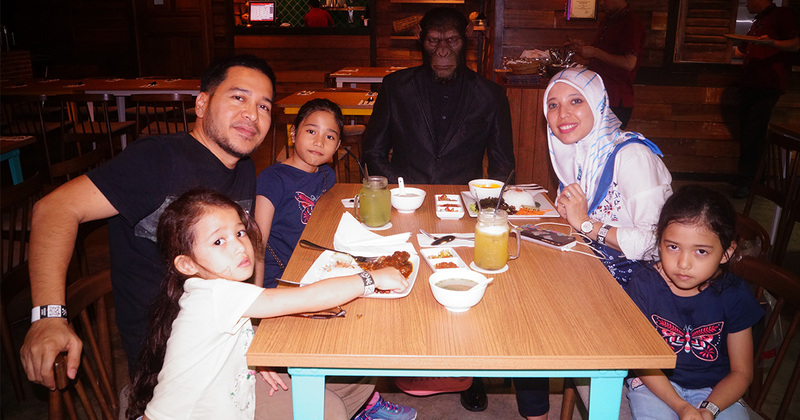 Turns out, the star of Planet of the Apes is a fan of authentic Malay cuisine, which is how we found him at Umi Restaurant! Either he was scouting locations for a sequel, or just enjoyed the good food and wonderful guests surrounding him. When we asked him to recommend some of his favourite Malay dishes, Caesar, without hesitating not only recommended what we could have for lunch, but also introduced to us to Umi’s outlet assistant manager, Ayu Yusoff, and the chef who works behind the scenes, known to his guests as only Chef Nasir. Caesar and I appear to share the same taste buds. When I tried the chicken soup, I immediately gave my thumbs-up to him over at the next table. Although simple, it was tasty enough to renew our energy levels after an exhausting day exploring all the interesting places at Komtar, especially the Jurassic Research Centre and the Rainbow Skywalk. “This is great, Caesar! Thank you for recommending it,” I called out.Caesar responded with a wink, and asked to try the masak lemak pedas. 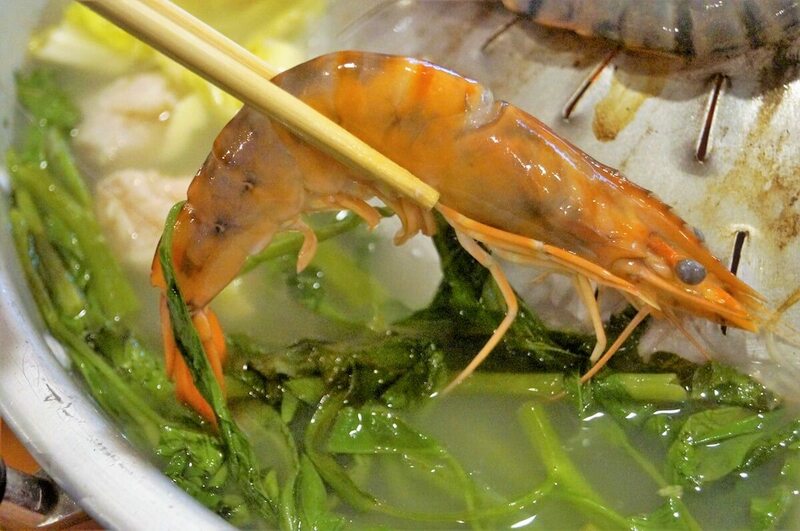 Before I could reach out for the prawn, my son had already harpooned it with his fork. “Wow, this is really yummy!” he exclaimed. Was he able to take something as spicy as that? Anyway, another thumbs-up to Caesar for his recommendation. According to Ayu, this is the authentic Negeri Sembilan style of cooking curry prawns. 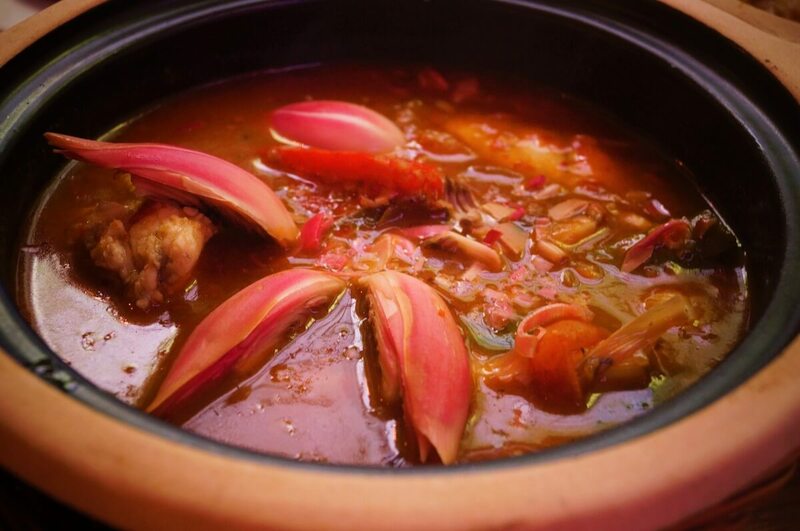 Ayu tells us that there’s another style we have to try, and showed us the asam pedas Melaka, which comes adorned with a bunga kantan (or red ginger lily). 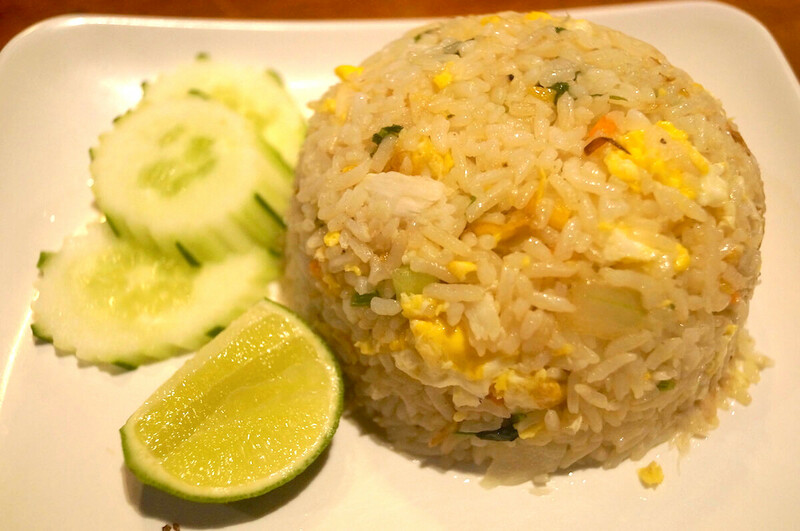 For children who cannot take the heat, Ayu recommends the nasi goreng bunga kantan. 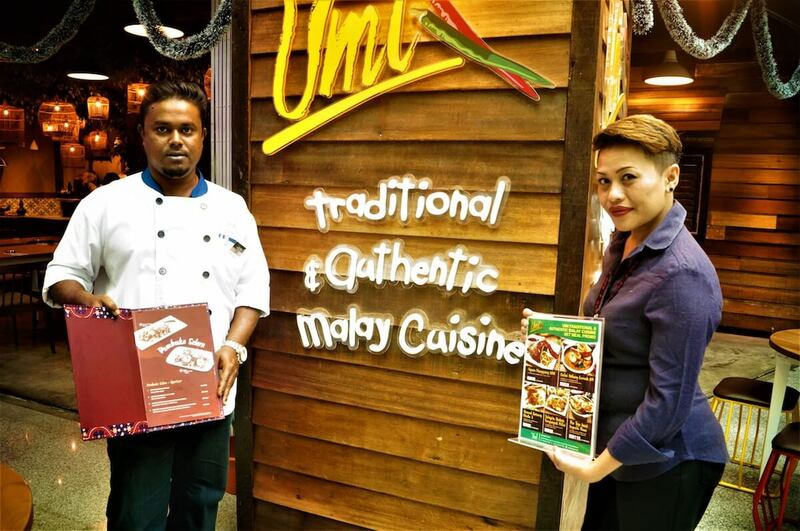 “This is why we are trying to introduce our traditional home-cooked food for more Malaysian families to enjoy. Food taste is very subjective, some is acquired; others, you will naturally like it because you have never tasted it before. Most of the dishes here at Umi Restaurant are Ayu’s own recipes, which she picked up over the years from her mother, sister and aunt. 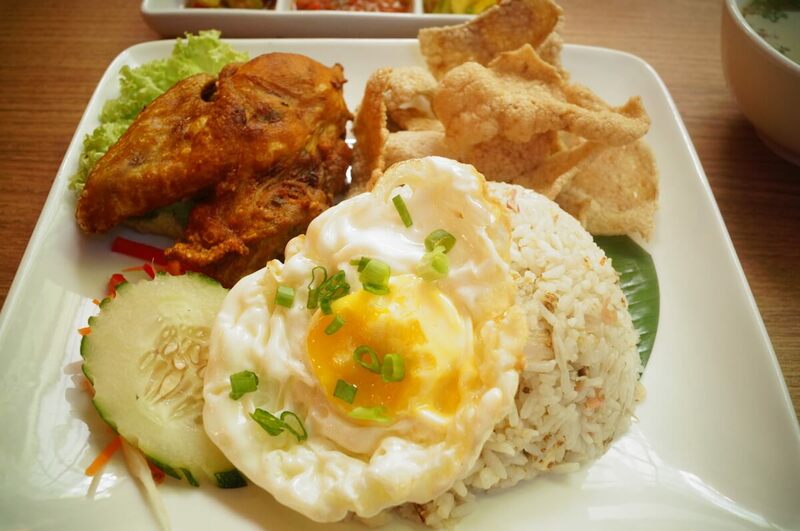 Besides the dishes we tried, Umi also serves ayam percik Kelantan on their set lunch menu. It is served with steamed rice, keropok Kelantan and local sambal belacan, air asam and kerabu. They also have asam pedas siakap, sambal tumis petai, gulai kambing kawah and udang galah bakar. But for the special beef rendang, guests will need to pre-order the dish in advance. 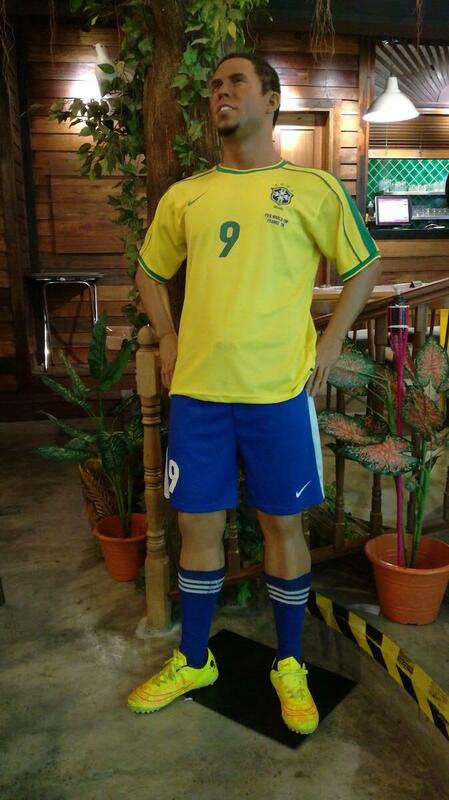 Besides the lifesize Caesar mannequin at Umi, guests can also dine and take photographs with Mr Bean, the original Ronaldo and the Captain of KTX from Train to Busan. Umi Restaurant is located at Level 5, The [email protected], just opposite the Jurassic Research Centre.